bossul, 08 Nov 2012can someone tell me what is its SAR value? Please ! !Specific absorption rate - it's about radioation. If value is below 2 w/kg, it's aprowed by european law. I'm waiting monday to arrive....i will come back with some feedback...it sure look's amazing, got it for 50 euro/2 year contract 18 euro/month. It costs 200 without contract in Romania. Amazing value. can someone tell me what is its SAR value? I want to know the battery life? in stand by and in talk time. 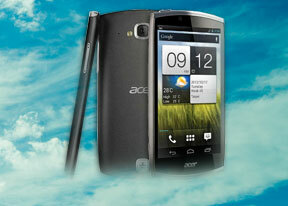 Is big difference between acer and samsung s advance? because acer have 1460mah and samsung have 1500mah. why at spec at samsung apear 550h in stand by at samsung and just 355h at acer? is a difference about 40mah. Clem, 18 Oct 2012It's been now a week with the phone and it's supa sweet ! Regarding the call quality, it is v... morewhere did you read that and when? 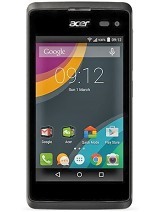 Gsmarena, please make a review for this phone! 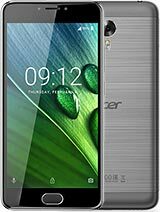 there is radio on acer s 5oo...and guys excuse me what is about the battery ...so small..please tell me your opinions..thanks! I sure hope they make a bigger battery for it at some point. 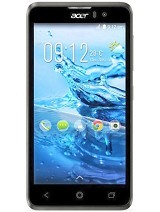 I just purchased this phone (still waiting for it to arrive). I hope the battery life isn't too terrible. My previous Arc S had a 1,500 mAh battery and it regularly lasted me almost a day, if not more on a regular basis. So that gives me some hope. It's been now a week with the phone and it's supa sweet ! Regarding the call quality, it is very decent and I didn't experience any muffled voice. Remember that call quality depends on your mobile network as well, maybe it was the issue Toon had. Battey is the drawback of the phone, I charge it once a day because I'm playing a lot with it. But there is an energy saver mode which can make it last longer. Anyways, I've read Acer will release a bigger battery soon. dorso750, 15 Oct 2012The device is very fast. The screen is just perfect and the android 4.04 runs very smoothly.th... moreThanks mate. I think i will buy one too. 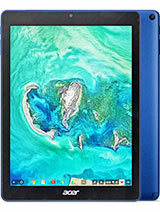 Anyone that has it, please tell impressions. Michael, 07 Oct 2012Ah, i have bought it too but have not called yet. 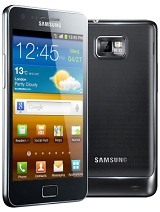 Good to hear feedback and i will try it tomo... moreNo matter what a phone costs, it should be decent at call quality. My cheap Galaxy Gio was reasonable to call with, my Lumia 710, which didn't break the bank has excellent call quality (although the earpiece could be a little louder). 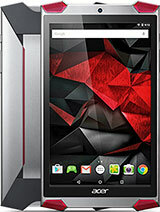 I think it is a shame, cause the Cloudmobile is a very nice device further on! It's got really nice hardware. But I don't like its call quality at all. It sounded too muffled, even at a point where I had to ask people what they were saying. A good test for call quality is to leave a message at your own voicemail! Then you know what you sound like through the mic and the earpiece of your phone. And that was just horrible! First of all, I used only Samsung or HTC devices previously. This meant that Facebook and twitter integration worked seemlessly. My contacts automattically integrated in my existing google contacts and also calendars were automattically synced with my phone. None of this on the Cloudmobile. I had to link each Facebook contact manually and it was impossible to sync my Facebook calendar. But more importantly: as a phone this device was horrible. The call quality was below acceptability. It was nearly impossible to hear what people were saying at the other end, although the earpiece was very loud. Everything sounded very muffled and hollow. At the other end people complained that I sounded as if I was having a very bad cold. As a flagship this can't be tolerated. I was very disappointed especially considering the call quality. Near vanilla rom experience can be good in some areas, but smooth Facebook integration should be a must to me. I returned this phone immediately and was happy to get a full refund. I would not recommend this phone to anyone! Save your hard earned money and buy from a decent brand as there are Samsung, HTC or Sony. Their overlays on Android may be well criticized, but they offer welcome additions. And more importantly: they offer decent call quality!